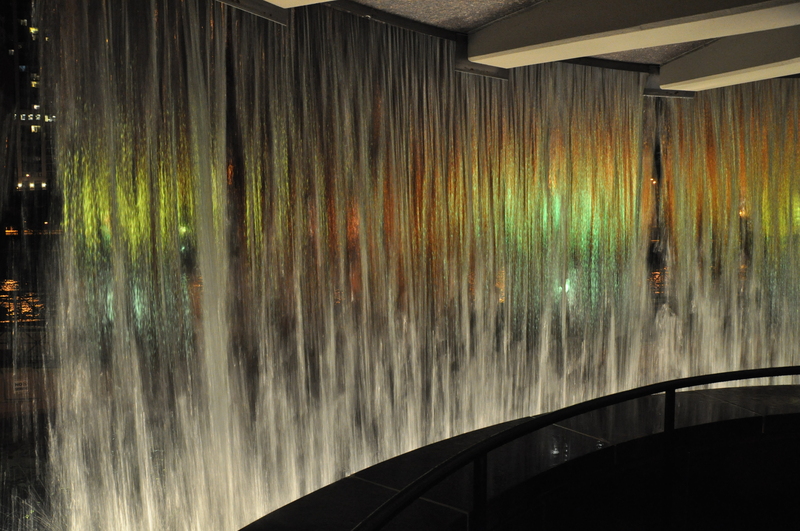 The lights of the city shine through the water falling at Centennial Fountain. This entry was posted in Architecture, Chicago, Historic Landmarks. Bookmark the permalink.